One in a group of “Men and boys of the Thanhouser Company” – not identified. 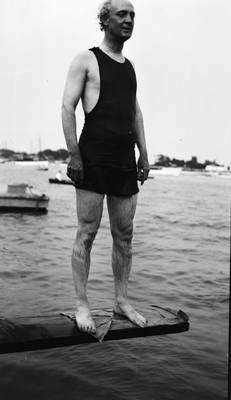 Actor in bathing suit. on a diving board, ca. 1912.